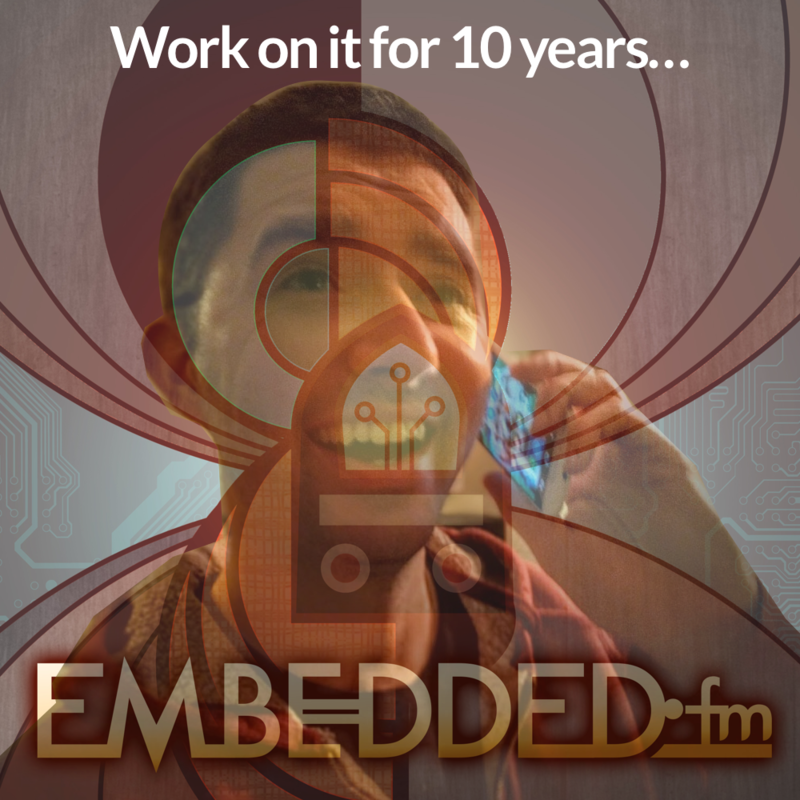 Welcome, Elecia (@LogicalElegance) and Chris (@Stoneymonster) from @EmbeddedFM for a holiday special Ampbedded (EmbHour?) episode. Embedded will be having a Hats and Hacks party in Aptos, CA. You can come! RSVP on Eventbrite. Flybrix is a LEGO drone platform for learning control systems and flight robotics. The founder was on Embedded #157. Free calculus book online: Single Variable Calculus: Early Transcendentals. There are other online textbooks approved by the American Institute of Mathematics. Thank you for listening to The Amp Hour for another year! See you in 2017! Isn’t it possible to use a NE555 to generate the PWM signal or do I get something wrong? It is! The reason I didn’t mention that is because the friend I was talking to needed to be able to go from 0 to 100% duty cycle, which isn’t truly possible without additional circuitry. There are designs out there that claim 0->100% duty cycle. https://sujjad.wordpress.com/2013/05/21/pwm-generator-using-ic-555/ being one such. When I have moved and unpacked my setup I will play with this circuit. Packing early is organised but so annoying. It’d be so nice to have time indexes for the various topics mentioned. That way, I could only listen what I’m interested about. Unfortunately, nowadays I’m too busy to listen the whole show, so I just skip the eipsodes. Keep it up, guys! These are by far my least favorite recurring guests. Please be more wary of falling into the “too many podcasters” trap of spending the first 15 minutes talking about nothing of consequence other than life as a podcaster. And what’s with all of the breathless NPR host whispery vocalization — maybe it is just me but it drives me up the wall!